distribution The eastern two-thirds of the state only. Throughout the Coastal Plain, and the eastern 60% of the Piedmont, west to Rockingham, Forsyth, and Gaston counties. abundance Uncommon to fairly common (but never in swarms) in the Coastal Plain, generally uncommon in the eastern Piedmont, but rare in the central Piedmont. flight Mainly in late spring and summer. In the Coastal Plain, the flight occurs from mid-April to late August, and sparingly to mid-September. The Piedmont flight occurs from late April to mid-August. The peak tends to occur in June and July. habitat Mostly standing water in forested areas, such as swampy pools or openings in swamps; forested ponds; canals. They favor blackwater, as opposed to brownwater, bodies of water. behavior Males have a distinctive flight behavior. They fly monotonous routes back and forth, often about 3-4 feet off the water, over canals and pools/ponds. Adults are only infrequently seen away from such pools and ponds; normally, one must look for the species over water. comments It can be frustrating to find one perched. However, the species can be identified in flight, through binoculars, and the "nose" can be seen under such circumstances. 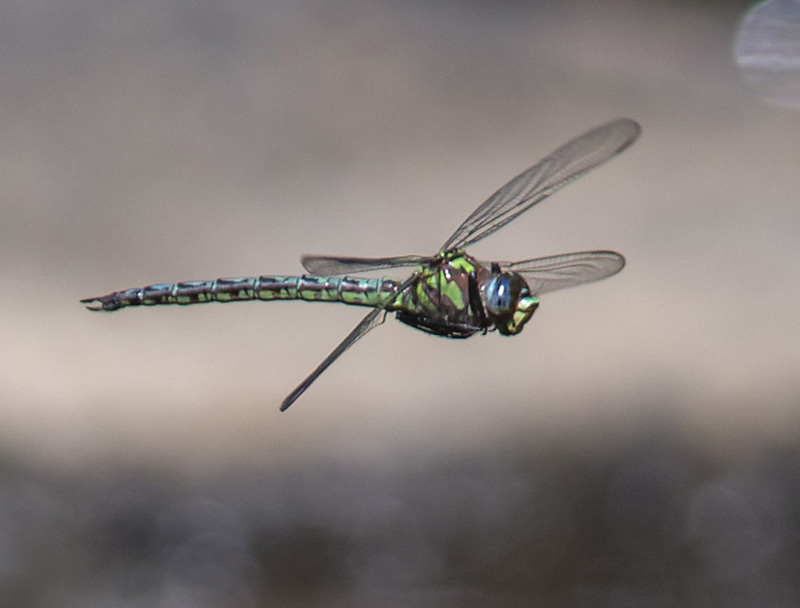 As the species is quite territorial, normally an observer will only see a single Cyrano Darner at a given body of water, and thus it is difficult to see more than a few of them in a given day. Comment: Chowan, 2018-06-09, Edenton National Fish Hatchery - seen from boardwalk along Pembroke Creek. First record for county. Comment: Columbus, 2017-06-04, - Males patrolling below spillway from Lake Waccamaw. Comment: Orange, 2014-06-24, - caught in spiderweb alive inside our porch.